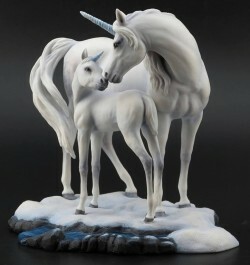 Highly detailed unicorn statue entitled Sacred Love. Delightful and colourful heavyweight figurine. Each figurine is numbered. Base dimensions: 22cm x 15cm.